A cool (new-ish) IPD game theory simulator! Can mathematics save us from partisan Gerrymandering? YES, microplastics end up in our guts. Now the question is from where? And to what effect? Sedhu Vikram on Why are architects required to take a course focused on ecology and environmental science? 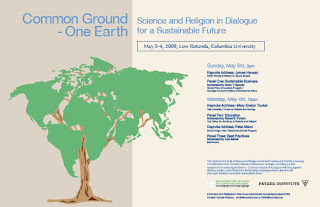 On May 3rd and 4th I attended and participated in a public symposium at Columbia University entitled “Science and Religion in Dialogue for a Sustainable Future”. The symposium, co-sponsored by Columbia’s Center for the Study of Science and Religion and The Fetzer Institute, was part of the Common Ground symposium series. Jeffrey Sachs, who writes one of my favorite regular columns in Scientific American, introduced the event. I was quite impressed with the conceptual picture that he was able to weave into a very short talk. He framed his talk around the idea that we are now in a new geologic epoch called the “Anthropocene”. Students of geology will know that distinctive series of rock layers representing periods of time have been identified as different “epochs”. We are most familiar with the two most recent epochs: A) the Pleistocene, which began about 1.8 million years ago and encompasses all or most of the early evolution of Homo sapiens; and B) the Holocene, which began about ten thousand years ago and encompasses all of human history emerging after the stone age. Many geologists and climate scientists now argue that the Holocene, short-lived at only ten thousand years, is over. Humans have come to play such a prominent role in the geology and ecology of the planet that we need a new epoch to describe these changes. Welcome to the Anthropocene! What characterizes the Anthropocene? I think that the best way to describe this new epoch is to imagine what paleontologists and geologists of the future would discover in studying the major changes that brought on this new epoch. First off there is the major rise in atmospheric carbon dioxide to levels not seen for millions of years, with a concomitant rise in surface temperatures: a disruption of carbon cycling almost certainly caused by human activities. Along with this comes the loss of massive amounts of “fossil water”, as glaciers which took hundreds of thousands of years to form melt in a matter of decades. Add to this our ability to redirect hydrologic resources through dams, reservoirs, and aqueducts and it is clear that humans are changing the way water cycles throughout the earth. As the work of Peter Vitousek has shown, humans now mediate and control over fifty percent of the earth’s photosynthetic output, and the price of this control is the production of over one hundred hypoxic estuaries thrown out of their previous equilibrium by human manipulations of the nitrogen cycle. The Anthropocene also will usher in a new age of extinction. Usually, we consider extinction to be most rampant at the end of an epoch or era; famous extinctions like those of the Permian and Cretaceous occur at the end of the era, not the beginning. The Anthropocene begins with massive extinction rates, as the combined forces of habitat destruction and unprecedentedly rapid transport of species rearrange the balance of ecosystems globally. Sach’s description of our massive modification of earth cycles is exemplified by a recent discovery by scientists at Dartmouth. Geochemists have used a rare element called osmium to measure the weathering rates in watersheds; osmium is valuable because it is found in very small concentrations in bedrock but will accumulate in sediments over time. Thus, it is a wonderful proxy for direct measurements of erosion rates. The Dartmouth scientists discovered that concentrations of this toxic element are actually on the rise in rain and snow. It turns out that the rise in osmium is caused by industrial activity, specifically the refinement of platinum ore for use in catalytic converters. As a species we are rearranging the very elements of the earth in unprecedented ways. The problem, as Sachs argues, is that we are neither scientifically nor ethically equipped to deal with our prominent role in driving the Anthropocene. Scientifically, we don’t know enough about how our ecosystems function to reliably predict how they will react as we increasingly modify the earth’s geological character. Ethically, we lack a proper set of “ethics among strangers” that would allow us to tackle the problematic human behaviors that now threaten our own species and many of the species with whom we share the earth. This was the first mention of what would become for me a major theme of the symposium: humans are facing a serious challenge to “scale up” both our knowledge and our morals. Sachs unflinchingly tackled the major conflicts that exist between science and religion: battles over social domain, attitudes towards the science of evolution, and debate over the role of population control. I was particularly thankful that he directly addressed the issue of access to contraceptives as one of the tools in the struggle to stabilize human populations. Sachs also drove home a point that would echo throughout the symposium: there is no going back. While it is clear that technology got us into this mess, only technology can get us out of this mess. The Luddite dream of going back to a more primitive time could only be accomplished at the cost of great suffering, as our population of nearly seven billion people rely on a variety of technologies for their very sustenance. I would extend our definition of “technology” to include all cultural adaptations, including ethical systems, and the question of how and if religion should play a role in that form of “technological innovation” remains unanswered. Jeffrey Sachs’ apt introduction was followed by a plenary given by Jim Hanson, a leading climatologist who has been pointing out the precarious state of our atmosphere for several decades, often in the face of strong political opposition. He laid out a very comprehensive picture of where our climate stands today and where it may go if we continue on a business-as-usual path. He reinforced the irreversibility (at least within a time scale relevant to humans) of the changes we are making and will continue to make in the areas of biodiversity and sea level. He also pointed out that we have more than enough fossil fuels, in particular coal, to do ourselves in; “running out” of fossil fuels will not help avert catastrophic global warming. His main conclusion was that we have the technology but lack the policy to avert a climate disaster, and that we ought to consider averting this disaster as a matter of social justice. The first panel discussion was entitled “Creating a Vision for Sustainable Business” and featured panelists Kevin Knobloch (Union of Concerned Scientists), Reverand Fletcher Harper (GreenFaith) and George Pohle (Suasoria). I am a big fan of the work that the Union of Concerned Scientists does, and Knobloch did a great job of connecting the need for policy with the need for a change in values. He asserted the need for us to reappropriate the term “sanctity of life” to include respect for the living systems of the earth and the people who depend on them. I was similarly impressed by Harper, whose organization focuses on social justice issues in the Newark, New Jersey area. He made a strong connection between resistance to environmental racism and imperatives of religious justice. He was also the first of many to assert that there is an intrinsic value to creation (broadly defined as the living and non-living systems of the earth), and that our current treatment of creation is for its instrumental rather than intrinsic value. He also differentiated between religious versus economic visions of life’s purpose, pointing out the possibility of religious values to reduce our material consumption by reasserting the value of community and experiences over “stuff”. I was not familiar with Pohle, but I gathered from his introduction that he is a forerunner in the field of “corporate social responsibility (CSR)”. His major pitch was that consumers have the control and that corporations will only act responsibly when consumers demand that responsibility from the corporations. I found this over-simplistic take on the problem to be out of place in a symposium that was on the whole much more aware of the subtleties involved in creating a sustainable society. I guess that on the face of it this claim is true: if tomorrow every consumer woke up and decided that they did not want to buy cheap Walmart products made of fossil fuels in a faraway land, Walmart would have to provide what consumers want or go under. But the truth is so much more subtle than this, because if you look at it from the individual consumer point of view the situation is exactly reversed. I alone cannot always make ethical choices because my choices are so constrained by what the corporations offer. So this seems like a major Catch-22: corporations won’t become more responsible until consumers make responsible choices, and consumers won’t have responsible choices until enough of them actually demand those choices. Of course this is not a Catch-22, because between the tiny scale of the individual and the massive scale of the corporation there is much room for organization, and groups of consumers do have the power to band together and make demands on industry. 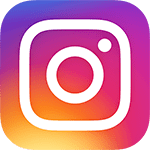 If there was one point that Pohle made that I think is valid, it is that the modern world of social networking and internet-distributed information has the potential to build this sort of consumer demand. Although no one seemed to point this out explicitly, I think that religious groups have the potential to be one of the conduits through which consumer demands for corporate social responsibility can be aggregated. The next day began with a plenary by Mary Evelyn Tucker, who offered valuable commentary on the role that science has played in our recent public discourse. She rightly pointed out that the journalistic “fairness doctrine” has given too much voice to skeptics of established scientific understandings such as those offered by evolution and climatology. She made a strong argument that scientists must now step out of their traditionally-limited role as discoverers of fact and incorporate some role in the policy-making process into their professional duties. She also captured an important point about the scale at which judeo-christian religions operate, which is very much at the individual level. She suggested that if we are to harness the true power of religious ethics to build a more sustainable world, those ethics need to extend to larger scales than the individual. Tucker concluded with some quotes from the Earth Charter, which is a document that I would like to learn more about. The panel following Mary Evelyn Tucker was entitled “Educating for Partnership With Science And Religion” and consisted of Joan Anderson (Soka Gakkai International), Laurel Kearns (Drew University), and James Mihelcic (University of South Florida). All three panelists talked about the potential to change cultural values through the various educational institutions at which they work. Particularly interesting was the description given by Kearns of Drew’s theological program, which seems to be a model among such schools in adopting sustainable practices. All three panelists talked about harnessing the power of religious values to encompass a sustainable vision. At lunch on this second day I took part in a very inter-disciplinary breakout group whose charge was to think about how we might create a curriculum around sustainability. Loosely labeled the “urban ecology” group, we were composed of community organizers, academics, clergy, and city employees, all working within some aspect of sustainability. One of the most productive discussions that emerged from the sessions was the need to ground academic sustainability projects in particular communities: rather than developing a program for a particular community, students need the experience of developing a program with a particular community. My hope is that this first conversation can be turned into a collaboration between those of us who work with students and those of us who work within city communities. Peter Mann got the final session going by speaking about the relationship between ecology, local food security, and hunger. Panelists Lois Barber (EarthAction), Father John Rausch (Catholic Committee of Appalachia), Rabbi Lawrence Troster (GreenFaith), and Pedro Sanchez (Earth Institute) spoke on the theme “Empowering Eco-Justice Advocacy through Best Practices”. 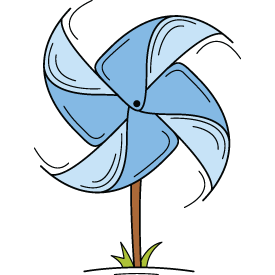 Barber spoke about renewable energy dividends (R.E.D.’s), which are government-sponsored guarantees of particular rates to those who develop new sources of sustainable energy. Rausch spoke with great passion about his mission, which is to obtain environmental justice for the people of Appalachia who have been affected by the mining industry. Similar, Troster’s message was one of environmental justice, as he discussed GreenFaith’s work within New Jersey communities affected by the Newark trash incinerator. Sanchez spoke of environmental justice in a different light, emphasizing that we should not carry the weight of increasing sustainability on the backs of the poor and hungry by discouraging green revolution practices such as the use of chemical fertilizers and pesticides. Emerging from the conference I did not get a terribly compelling view of what role religion should play in the sustainability movement. Clearly there are isolated religious communities and leaders pushing for political and social changes that marginally increase the sustainability of the human species. But on a larger scale it is not clear what role religion will play. Clearly all of the religious leaders present at the meeting were on the “liberal” side of the spectrum, and I wonder how much traction such leaders have in the larger sphere of their religious denominations. My view of the role that religion has played in the evolution of human society focuses on scale. Religion emerged at the tribal level not only as a means of explaining the supernatural but more importantly as a means of maintaining internal cooperation around a shared set of ethical values. For this reason a great number of religions share common ethical principles: these were the principles that allowed cooperative groups to thrive and outcompete less cooperative groups employing less effective ethical frameworks. But as was pointed out by more than one speaker at this conference, these principles mostly extend the internal world of the particular religious community: how one should treat other members of the same faith. Over the course of human history the scale at which religions operate has extended far beyond the tribe, as religious values have become the glue that binds large numbers of people across large geographical areas. I credit religions in great part for the success of the human species; religion is a technology that allows large numbers of people to cooperate towards common goals and work together for progress in relative harmony. Competing for the title of “great harmonizing technology” is government, as countries also provide the framework for maintaining internal cooperation. Whether it be religion or government that holds people together, the same problem remains: our success is now our peril. Our ability to cooperate has led us to over-exploit our earth; in large part this over-exploitation is the resultant action of massive self-interested groups, some national and some religious, acting without regard for the welfare of other massive groups. This, of course, is the double-edged sword of religion: while all religions preach internal cooperation, there is a bloody history of violence towards outsiders. I would actually assess that countries (along with multinational corporations), rather than religions, now orchestrate this competition between huge aggregations of humans. This places religion at an interesting intersection between the individual (whose power within the sea of humanity in rather minimal) and the nation (whose power is massive, but only due to the overall acquiescence of individuals). What we need is an international agreement to create sustainable practices. The problem is that the self-interested governments of the world operate based on competition with each other. What we need to do is to export some of the practices that create solidarity and combined-self-interest at the national level to the international level. Failing to do so places all of us at peril. Could religion play an instrumental role in motivating and aggregating individual demands for a more equitable and sustainable world? That’s the hope that emerges out of this conference, although from where I sit it seems like we have a long way to go. Thanks to Eliza and Eleni for inviting me to this thought-provoking event! 2009-2019 © Christopher X J. Jensen. Altruist theme graciously crafted by Olivia Hu. Proudly powered by Wordpress.